In the early stages of my former competitive bodybuilding career, I didn’t think twice about throwing down steaks, chicken, eggs, turkey, and fish for my source of protein. After all, that was (and still is) the protein prescription followed by a large majority of amateur and professional bodybuilders. It wasn’t until later in my bodybuilding career that my gut started communicating with my brain. In 1998, as I was eating multiple meals of chicken, eggs, fish, and turkey in preparation for the Team Universe Bodybuilding Competition, my digestive system began sending signals to my brain that there was something wrong with my diet. I could feel it working in overdrive, and the thought of eating another chicken breast was beginning to make me nauseous. After the competition, I resumed to eating normal portions of meat. However, what used to be normal just didn’t feel the same anymore. I was sure that there was something unhealthy about the amount of meat that I was eating for competition, but more than that I had the sense that there was something wrong with eating meat at all! At that time, I wasn’t aware of the extensive research on the health effects of eating meat. The only research I had was what I was experiencing within my body. Did this new discovery change my habits? Nope! Not until years later, when my best friend Tami invited me to watch a movie called Fat, Sick, and Nearly Dead. Unbeknownst to me, this film would be the beginning of my journey to a plant-based lifestyle. After watching it, I wanted to learn more, so she recommended Forks Over Knives. This film changed my thinking, my eating, and my life. 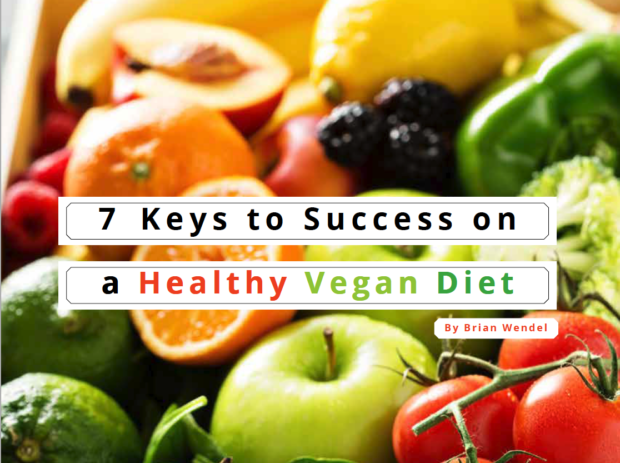 I adopted the plant-based lifestyle in 2012 and continue to educate myself on its benefits. Although I’ve been a natural, drug-free, competitive athlete all of my life, I have never felt as healthy or as strong as I do now, since I’ve been eating plant-based. Not only is my post-workout recovery better than before, it’s better than that of younger competitive athletes. Throughout my life, I’ve competed in various sports, including American football, wrestling, bodybuilding, and Muay Thai, and I’m currently competing in the sport of Crossfit. Recently, at my first Crossfit competition, I secured 4th place. Having prepared for only 5 weeks, I’m confident that my plant-based lifestyle was a key factor in helping me recover faster between those grueling workouts. I’m looking forward to competing in many more Crossfit events. I’ve been certified in personal training and sports nutrition for many years. Now that I understand the truth about nutrition, my message to my clients is quite different: plant-based eating is the healthy way to live.